Connecticut had been clobbered in August by two successive hurricanes, Connie and Diane, and was still reeling from their impact. 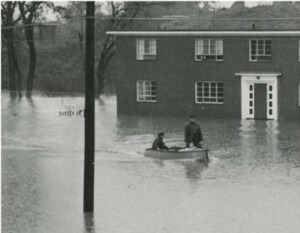 Over 80 people had been killed in the resulting flooding that some still consider the greatest natural disaster in the state’s recorded history. People forget that only two months later, Connecticut was hit again. 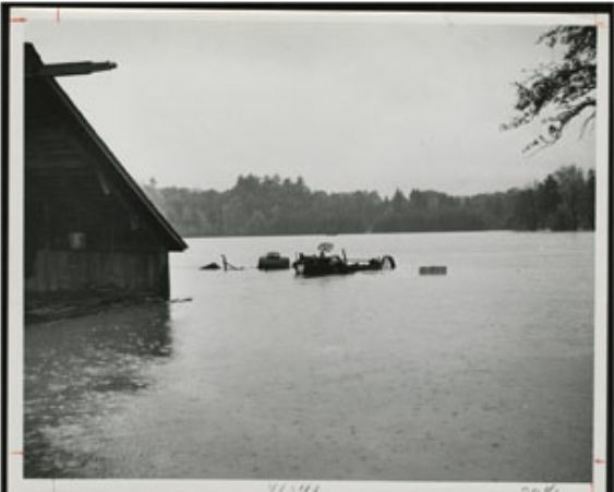 Parts of the state that were spared the worst of the devastating August flood found themselves underwater and other parts, like Hartford, were flooded for a second time on October 15 and 16, 1955. Photographs of Hartford show preparations for the flood and document the extent of the flooding. 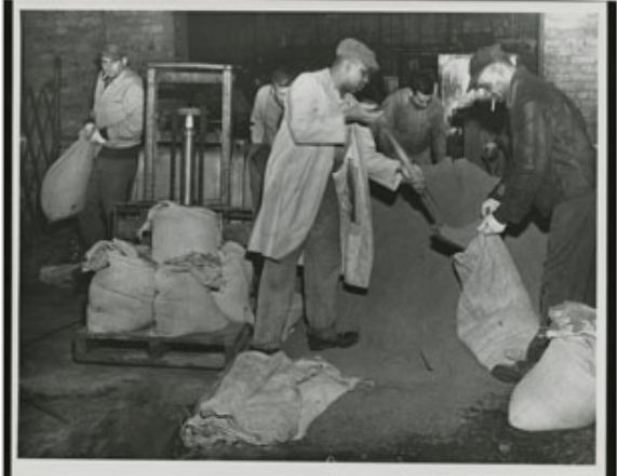 Workers at the Stanley P. Rockwell Company, located on Homestead Avenue, were photographed filling sandbags. The sandbags were urgently needed to combat rising water as seen in the picture of the flooded housing project at nearby Rice Heights. The street sign for the intersection of Pulaski and Sussex Streets is barely visible above the water. Farther up the river, a farm in Simsbury was devastated by the flood. The barn on the left appears to be missing a wall, while debris is piled up at its base and in its interior. The surrounding fields are under at least 2 feet of water judging by what can be seen of the partially-submerged tractor. West Granby lost a bridge on Simsbury Road. 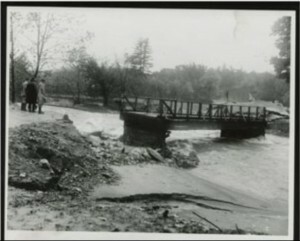 A photograph of the washed out bridge taken after the flood waters began to recede shows that the water was still moving fast. The partially collapsed roof of a building is visible behind the bridge. Our collective memory of disasters tends to be selective, perhaps in part because we are unable to cope with the full horror of such events. 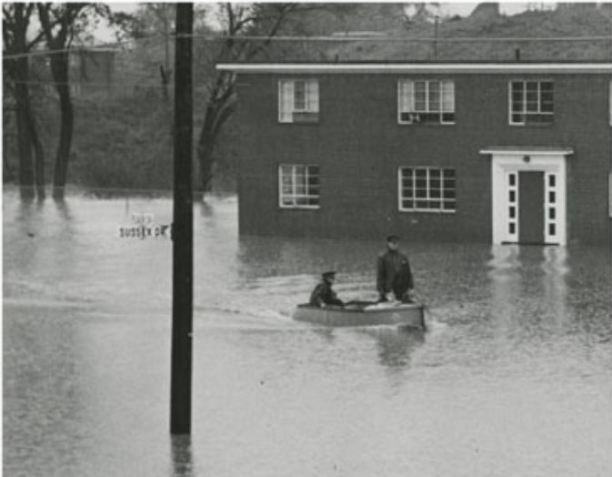 When we speak of the “Flood of 1955,” we should remind ourselves that two separate floods, one in August and a second one in October, occurred. It was a terrible year for Connecticut. Jill Padelford is a long-time member of the Connecticut Historical Society staff. Six Cities Respond to 1902 Waterbury Fire – Who Knew?